Saltburn Valley Gardens, bottom of Saltburn Bank, Saltburn-by-the-Sea, Cleveland, TS12. This 15in. gauge railway is listed as one of the country's most famous railways. Grosvenor Park Road, Chester, Cheshire, CH1 1QQ. Operating on 7¼in. 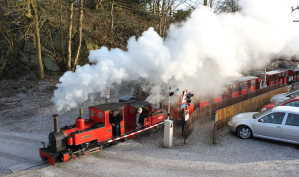 gauge, with steam and diesel hauled trains, on a ¼ mile circuit around the lake. Santa in Dec.
Tarn Lane, Yealand Redmayne, Nr Carnforth, Lancashire, LA5 9RX. Lodge Farm Park, Main Road, Romford, Greater London, RM2 5JB. New 7 1/4in. gauge railway, around 1,000 yards long. Located in Lodge Farm Park. Ferry Meadows Country Park, Ham Lane, Peterborough, Cambridgeshire, PE2 5UU. 10.25in. gauge. Steam & diesel. New Darjeeling loco. Mereside Drove, Ramsey Mereside, Ramsey, Cambridgeshire, PE26 2UE. 7¼in. 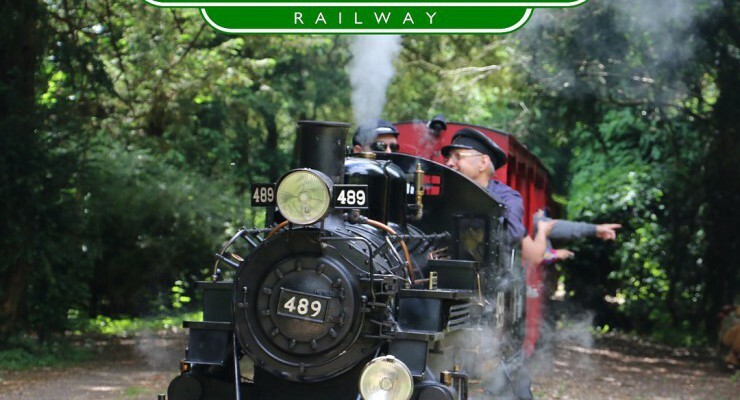 gauge narrow gauge railway operating steam, electric and petrol locomotives. New double oval track on new site, which is constantly developing. Field Place, Durrington, Worthing, West Sussex, BN13 1NP. Swanley Park, New Barn Road, Swanley, Kent, BR8 7PW. Vanstone Park Garden Centre, Hitchin Road, Codicote, Hertfordshire, SG4 8TH. 10¼in. 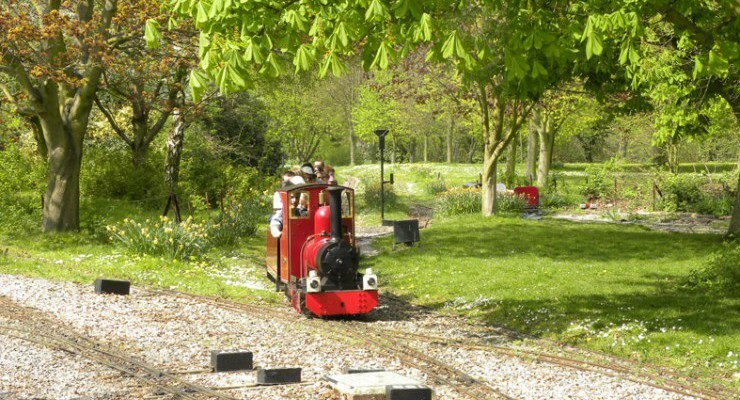 gauge woodland railway, 560 yards (512m) long. Trains run at frequent intervals, according to demand, and will normally be diesel hauled. Rudyard Station, Rudyard Road, Nr Leek, Staffordshire, ST13 8PF. Steam locos are always used on trains on a scenic three mile return trip along the side of Rudyard lake. Marine Lake, Wellington Road, Rhyl, Denbighshire/Sir Ddinbych, LL18 1AQ. Harrold Road, Lavendon, Buckinghamshire, MK46 4HU. 7¼in. gauge. Three steam, one diesel loco. Also there are displays of aircraft cockpits, bygones and railway memorabilia. St Newlyn East, Newquay, Cornwall, TR8 5LX. West Links Park, Queen's Drive, Arbroath, Angus, DD11 1QD. 10¼in. gauge, 400yards. Two steam, three petrol, one diesel locos. Alongside Aberdeen-Edinburgh mainline. Ford Forge, Heatherslaw, Cornhill-on-Tweed, Northumberland, TD12 4TJ. Bentley Country Park, Halland, Lewes, East Sussex, BN8 5AF. Audley End Road, Audley End, Saffron Walden, Essex, CB11 4JB. Tel: 01799 510 726 . Thompson Park, Colne Road, Burnley, Lancashire, BB11 2AA. Pinewoods, Beach Road, Wells-next-the-Sea, Norfolk, NR23 1DR. 10.25in. gauge. 1,200 yards, running between Wells Harbour and Pinewoods. Diesel locomotives. Woodseaves Garden Plants, Woodseaves, Market Drayton, Shropshire, TF9 2AS. 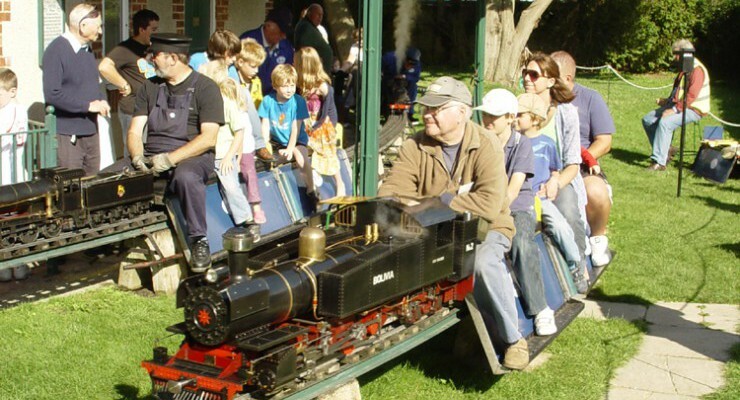 A narrow gauge miniature railway which runs around the Woodseaves Garden Plants nursery. High Road, Haynes, Bedford, Bedfordshire, MK45 3BH. Three railways of varying gauges. Operated by Bedford Model Engineering Society. Stansted Park, Rowlands Castle, Hampshire, PO9 6DX. In grounds of Stansted House. 7¼in. gauge, 800 yards. Steam & i/c locomotives. Pulborough Garden Centre (Wyedale), Stopham Road, Pulborough, West Sussex, RH20 1DS. 10 1/4in. gauge, 1,100 yards. 10 steam, two diesel and two petrol locomotives. Lower Promanede, Kings Gardens, Southport, Merseyside, PR8 1QX.